Ed up front, my brother Michael in the back, and my three nephews. 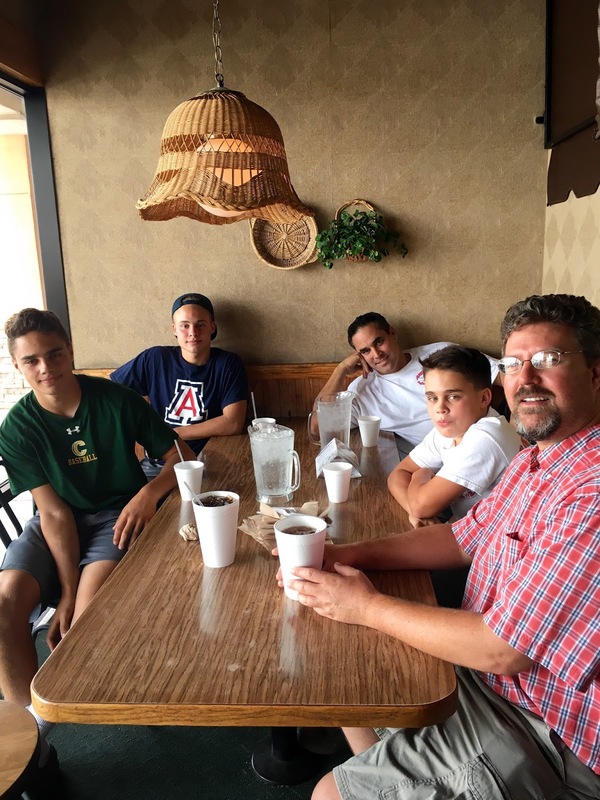 What a special treat - I got to have lunch today with my brother, my three nephews and Ed at our favorite pizza joint, Mama's Pizza. Do you know how hard it is to corral all of them in the same place? Well, apparently not that hard if food is involved.